Recently, I was watching an episode of House Hunters where a couple was looking to buy a house in Hawaii. What I found to be even more exciting than trying to guess which house they would choose, was the fact that the properties all had Rainwater Catchment Tanks (also known as rain catchment systems) in their back yards. Come to find out, most of Hawaii averages around 100 inches of rain each year. That is just the average. Many parts of Hawaii receive much more. While rainwater may not always be safe to drink, it is usable on so many other levels. Many people use rain water in their showers and toilettes. Obviously, it makes for the perfect system to water your yard, garden and house plants (in between rainy days). If you live in an area that gets decent rainfall, get one! No matter if you buy the 50 gallon rain collection barrel that costs a mere $50.00 or go all out on a designer type larger barrel or even consider having a tank installed in the back yard. The water you catch is free. Rainwater catchment tanks pay for themselves quickly and the environment is all the better for having used them. You may even qualify for rebates and tax deductions if you use one. You may now be wondering if one would be effective where you live. Well, consider that one good rain storm could easily fill a 50-60 gallon rain collection barrel in less than 60 minutes. While you may not have the space or need for a 200-300 gallon rainwater harvesting tank in your back yard, consider the fact that rain catchment systems come in many shapes and sizes out there. Indeed, there are a great variety of companies that are now providing rain catchment tanks. Getting one should be relatively easy. Going green is getting easier and easier. This is honestly a simple green step to take. Even if you have a tiny little garden in the back yard, a 50 gallon rain catchment tank will save you from having to pay for the water you are now using in that great new organic garden you are developing. Rain water contains fewer chemicals like chlorine that can be less desirable to plants and vegetables. Rain water is even better for your skin. 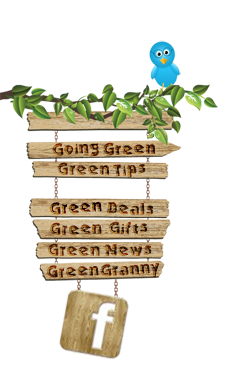 Check out our Organic Gardening Supply store page for more amazing retailers that will ship right to your door at little or no cost! No matter what size yard, or city dwelling space you have, there is a rain barrel catchment tank for you!